Leaders must influence others in order to achieve goals, and they must gain the respect of followers in order to influence them. This is no easy task, but if you want to have the respect of your followers and become an influential leader, these simple rules will help you whether you are just beginning your leadership journey or have been leading for many years. One of the most important things you can do as a leader is cultivate self-awareness. Knowing your leadership style will help you to be more intentional about using it well and managing its shortcomings. Do you lead with expertise? Charisma? Caring? Armed with this awareness, you can leverage your unique style to become more influential and inspire others. Nothing can ruin your influence and respect faster than a lack of integrity. Integrity, however, is not just avoiding unethical choices and situations.Integrity is intentionally molding a culture of values and service. As a leader, the more you know about what you are getting into, the more prepared you are to address it well. This could be hard data like market research, competitive analysis, and customer satisfaction trends, or informal research that comes from asking around. Leaders get informed and stay informed. Leaders invest in learning. Grow your expertise. Get certified. Cross train.The more you know, the more you can help. The greater your competence, the more others will respect you and the effort you made to learn about what they do. Leaders understand the importance of perception. Ensure that your strengths are not being perceived negatively by asking for feedback, engaging in 360 assessments, and communicating proactively what you intend to accomplish with a particular action or question. A leader’s job is to interact with the future on behalf of constituents.Spend time doing things that only you can do, delegating other important areas to competent team members. Establish a vision, and keep your gaze focused on the overall goal. Resist the temptation to spend too much time solving day to day problems if they are costing you progress toward your vision. Great leaders get to know their people. What are their hobbies? What are their kids’ names? What are they good at? What motivates them? Demonstrate a genuine interest in people. Care about them. Create a culture where people feel supported personally, not just professionally. By understanding their people, leaders are better equipped to help them be successful. Put them in places that will foster professional growth and help them achieve their career goals. When people succeed in their careers and enjoy the jobs they are doing, the organization benefits in turn. When people do a good job, make sure they know it. Some will want an email, others an announcement in a meeting, still others a monetary reward. Whatever the case, if it lies within your power, grant it. There is no such thing as too much sincere appreciation for a job well done. Help people. Be a resource, a sounding board, a safe place to talk. If you want the people you lead to respect you, they need to know you are on their side. Advocate for them; help them get the promotion they’ve been hoping for. Leverage your influence on their behalf. Self-aware leaders understand the folly of trying to be all things to all people. It is impossible to be an expert in everything. Instead, surround yourself with people who possess qualities you lack. If you lack detail orientation, bring in someone who is organized. If you forget to ask for input at meetings, ask someone who is more naturally inclusive to bring it up. Leaders listen. Don’t assume you know the answer to a question you haven’t asked. Inform your perspective with the input of others. Invite skepticism. Only after this vetting process can you be certain you have made the right assignments or decision. Always think ahead. Ask yourself: “What could go wrong here?” “What if the market changes?” “Is there anything else we can do to make success more likely?” These questions help leaders create the best possible plan. Once executed, be sure to revisit, using the feedback you gain to optimize and tweak where necessary. Without risk, no reward exists. Leaders take risks, but before they do, they minimize them by soliciting information and perspectives. After that, they move forward courageously, trusting themselves and their people. Never settle. Leaders persist toward perfection. They remain steadfast in the belief that our best days are ahead of us, and work toward making that true. Paint the picture of what it will look like when we get there. Inspire and become an influential leader—respect will come. Becoming an entrepreneur easier than ever before—technology is shrinking the world, opening markets, and making it possible for many people to strike out on their own in the field of their dreams. Yet, many who feel the tug of inspiration are afraid to take the leap. Don’t be one of those people who look back and regrets not starting their own business. Take control of your life, and your dreams. There are countless great reasons for starting your own business, and I’ve gathered 20 of the most compelling here—but whatever your reasons, don’t hold back. It’s time to start taking steps to take control of your own life, and there’s absolutely no better way to do that than to take ultimate control of your career, through starting your own business. Living on a salary, as someone else’s employee, there’s little you can do to control your tax situation. It’s simply a fact of life. There are some things you can do to affect it, of course—using retirement plans, deferrals, special savings accounts, and the like, but your options are truly very limited. On the other hand, starting a small business can transform your relationship with taxes. The government is very supportive of small businesses right now, and is likely to continue to be. You’ll be able to write off extraordinary amounts of your income, as long as you hire a good accountant (or educate yourself well on tax law). Bonus points if you can employ family members, even for small tasks—the money stays in the household, the tax write off helps the business, and your family has become a team that drives its own success. If you have skills in an industry that’s in demand, there’s no excuse for not starting your own business. You never have to worry about whether or not you’ll be laid off when you start your own business, whether you’re up for promotion, or whether you’re going to be automated out of your job—because you’re the boss. As your own boss, you have another advantage, too. Not only can you not be laid off, but you can take control of your company’s decisions. You can move and change with the times. Many companies fail because they fail to evolve, and as a mere employee, there’s little you can do about that when you’re employed by someone else. As an industry leader, in charge of your own company, however, you’ll have the resources and decision-making capability necessary to stay current and competitive. Passionate about your industry? You might think that the only way to get ahead and network with the superstars in your market is to get in with a big company—but in fact the opposite is often the case. You’ll be pleasantly surprised how many doors a business card with “CEO” can open—even if you’re CEO over a grand total of one person. That’s because it’s not just the size of the company that impresses people; by being an owner and taking control of your destiny, you’ve proven you have what it takes to make it. And that’s a very appealing trait in a colleague. Owning your own business means you have a lot more to offer when it comes to collaboration and negotiations, and it means you will have more insider knowledge in your industry. It goes without saying that this makes you much more tempting to network with—and the bigger your network, the more people will want to network with you. Watch your lists of contacts, partners, colleagues, and references grow. Admit it—you sleepwalk through your day at your current job more often than you’d like to admit. Why? Because when you work for someone else, you have an excuse to slack off on learning new skills. When someone comes to you to ask you to do something you’re inexperienced with, you direct them to the “right” person. But what happens when the buck stops with you? In your own business, you quickly learn how to become the “right” person for every job. You’ve heard the saying, “If you want it done right, do it yourself.” Now go out there and embody it! As a small business owner, you’ll be learning a lot of new ropes. Learning new things keeps you sharp, and staying sharp makes it even easier to acquire new skills. This isn’t about just being successful in your career; it’s about being successful in life. But it’s not just about learning to use Excel properly (finally), your new motivation to learn and learn more can take you much further than that. As head of your own business, you won’t just learn how to competently carry out new skills, you’ll become an expert at the one’s you’re passionate about. Maybe right now you dabble in graphic design, and love it, but that’s not what you get paid for at your job. Well, in your own company, you can take on as much of that responsibility as you like—and get paid for it. And don’t forget those tax benefits—they’ll come in handy when it comes to training and taking classes in those subjects in which you want to become an expert. Get and keep your certifications up to date, create a portfolio, and find out just how much of an expert you’re truly able to become, given the opportunity. And the best part? As a business owner, you’re not depending on someone else to hand that opportunity over; it’s one you can give to yourself. Networking is one thing—it’s great to have a digital Rolodex filled with names you can drop at the next convention, if you’re into that sort of thing. But what’s better? Finding true mentors in your field. You’ll find that people are willing (and excited) to help a motivated small businessman learn the ropes, and you can forge lifelong relationships with talented colleagues that would never have given you a second thought if you were on someone else’s payroll. And running your own business will give you more confidence in seeking mentors out, as well, because you’ll have little choice but to ask the questions you need answered if you want to be successful. Necessity is a wonderful motivator. You have what it takes to start your own business. You’ve always thought so. And yet, here you are, still riding someone else’s coat tails. Why? Because you’ve yet to take that final step that proves you really do have what it takes. Success is not all about inspiration; determination is thought by many to be the real factor. Everyone knew the kid in school that always said they “could” have gotten that A if they’d studied, but they were content with a B. Don’t be that kid. You’re better than that. Prove to yourself you have the determination to be a true success, and stand on your own two feet. Putting your determination to the test leads to the next best reason to start your own business: learn some self-respect. It’s not just determination that will make the path to self-respect that much sweeter. Think about how many times, in the past, you’ve had to put your own self-respect aside to comply with the wishes of your boss, a manager, or a customer. Sure, you’ll have to make concessions as the head of your own business—but you’ll be fully in charge of when, where, and how those concessions take place, if you do. You’ll be the one in the driver’s seat, which means you’ll have to take responsibility for your own decisions; you’ll find that greater responsibility leads to greater self-respect, as well. If you’re not part of the solution, you’re part of the problem. The job market is not looking good these days, and starting your own business can create job security for more than just yourself. Have an innovative idea, or a new strategy that’s going to take off? Instead of feeding it to your boss and letting them take credit, be your own boss—and find the right talent out there to join you on your path to success. Small businesses create jobs and forge strong bonds in revitalized communities. Be a catalyst for change in your own community. Financial independence sounds like a dream come true, doesn’t it? When you start your own company, it doesn’t have to be a dream. You’ll be calling the shots when it comes to taking risks, deciding on investments and expenditures, and you’ll also be the one reaping the benefits when your hard work pays off. You won’t have to depend on bonuses that are based on your boss’s whims or your company’s yearly success. You’ll be the determining factor, and you won’t have your financial success snatched away because someone else on your team dropped the ball. We’ve all sat around and talked about how our respective fields could be improved upon. “If only someone would go out there and make some changes,” we’ve thought. Well, stop thinking about it and do it already! If you’ve got ideas that can transform the marketplace, it’s time to put them to the test. Maybe all of them won’t pan out, maybe some of them will, but either way, you can be part of the action instead of just an armchair analyst. The point is, you’ll have your chance—you’ll have all of the chances you want—to make your mark in your own industry. When you start your own company, it becomes an extension of yourself. Your story—the story of your life, of your dreams, of your goals—becomes the story of your company. Starting your own business gives you a chance to put your story on center stage. It’s time to stop being a footnote to someone else’s story, and to take responsibility for writing your own. You’ll look back over the years at your successes and failures alike and feel a special fondness for them, because you chose them—you didn’t sit idly by and let someone else write your story for you. Everyone should have a sense of pride in their job, and no one has more pride in what they do than those who are head of their own company. When your company succeeds, that reflects directly on you. When you risk failure to capture a big reward, that’s your risk, and your pay off—and a source of your own pride. When you work for a big company, you might be proud of your position, or your weekly presentation, or your raise, but none of that compares to the feeling of pride you’ll feel in the successes, large and small, of your own business. You’ll be proud of your accomplishments, of course. You’ll be most proud, however, that you had the courage to set out on your own. Starting your own business gives you a chance to tell your story, to employ yourself, and to prepare for your own future. But it does something else, as well. It gives you the chance to create a legacy for your children, and their children. You’re starting from scratch, but they won’t have to. Your small, hard won successes today can lay a foundation for the future of your entire family line. You might make a great salary now, but your inheritance can be so much more than just money; it can be a way for children to make their own way in the world. An established business isn’t all you can leave behind, either. You’ll be setting an example, on that tells your children that that their success is up to them. Luck and chance can go in any direction, but determination, resolve, and responsibility are the real recipe for a fulfilling life. Recognition at your current company probably means getting a picture of yourself as employee of the month. Maybe it’s more—maybe you’ll be recognized at a company dinner, or get a big promotion. But unless you’re quite high ranking in the industry, you won’t be getting the kind of recognition you can as a business owner. Make your mark on your industry and in your community as a business owner, and find out just what true recognition means. You’re not just a cog in the machine that performed well, you’re a member of society that is able to contribute something meaningful and lasting, and be recognized for your accomplishments in an equally meaningful and lasting manner. Right now, you’re digging deep to find the inspiration to strike out on your own. And it’s quite likely that you’ve turned to others and their inspiring stories of success to provide you with motivation. Won’t it feel great, one day, to know that your story inspired another go-getter, just like yourself? Recognition, as described above, is about being recognized by many for making a big impact. But sometimes the most important impact we can make is much more personal. Inspire the next you, the next genius, the next tycoon—and start today, by putting your business plan into action. You’ll move from looking for mentors to becoming one, and that’s an incredibly rewarding feeling. You have an eye for design, or for functionality, or for gadgets, or for fashion—you know what people want, and you can’t help but critique the mistakes you see made in your industry of choice. You sigh at the decisions your boss makes, when you’re positive your plan would be better received. That’s all well and good—but it’s time to realize that you could be correcting all of these mistakes, and making your own vision a reality. Think that’s impossible because your boss would never approve your ideas? It’s more than possible—when you’re your own boss. Create your own brand, and do it your way—find out if your muse has been right all along. And when something doesn’t work, it’s only an opportunity to fine tune, improve, and create something even more exceptional. Don’t be a slave to the whims of a company that doesn’t care about you; take responsibility for your own success and create a product, service, or experience that people will love. And creating your own brand is only the beginning. Think about every time you’ve had a flash of brilliance in the past, and had to discard it, because you simply didn’t have the resources to bring it to life. As owner of your own business, you will have those resources, and you’ll have the ability to put your ideas into action. You won’t be tied down to the company formula, because you’ll be writing your own formula as you go along. You’ll be allowed to take creative risks, to do what no one else will, or what no one else has thought of. And the best part is that you’ll be able to take full credit for your creative insights. You’ll find that as you put your creativity into practice, even more creative ideas will assert themselves. Creativity is like a muscle: use it or lose it. There’s no better way to exercise your creativity than being your own boss. Life can be a stormy sea, and too many people trust someone else to be the captain of the vessel that carries them along. Don’t relegate yourself to being just another hand on deck. You know that you have what it takes to navigate the storm, to be the captain of your own life, so why would you pass on that responsibility? If you want to venture into uncharted territory, you can start your own business. If you want to play it safe, you can do that too. The important thing is, that you’ll be able to decide on your own, do your own research, and carry out your decisions with full confidence. You can’t do that when you’re depending on a boss or a manager to see you safely through life. But you can, when you have your own business. Sounds a little on the dramatic side, doesn’t it? But it really isn’t. You absolutely can change the world when you start your own business. Being a small business doesn’t mean having a small footprint. And some of the most influential companies today started out small—look at Facebook, started in a college dorm. It’s gone on to reshape the way people think about socializing, to change the very manner in which people live their lives. Google started small as well, and no one can deny that it’s changing the world. Even if your venture doesn’t become a mega-company, however, that doesn’t mean you’re not in a position to change the world. Creating something lasting, something that shapes your future, the future of your family, and the future of your community is very much an opportunity to change the world itself. Who knows how much of an effect your ideas and goals can have? Only you—and you can only find out by taking the leap. It’s time to take action. Take a small step today. Whether it’s drawing up a business plan, making a few notes, or making a phone call, your journey will begin with just one step. Set some small goals. Congratulate yourself for meeting them. You’ll find that small goals soon become larger ones, and those will set you on your path to greatness. The reasons above are motivation enough—but surely you have your own, personal reasons as well. Ponder those, and you’ll come to the inevitable conclusion that the only sensible thing to do is follow your dream. At the moment, I am part of this youth population. I was 8 years old when I became a refugee. The hustle started at this tender age yet I was always smiling. I lived with poverty and smelled death. I remembered I was left alone in the bush for almost a year without any family members around. The thing called school was very far from me. I had no sign of hope but I was still smiling. Night tears kept me sad. I was lost in the care of fear. But today, I have a passion to advocate with an aggressive approach to youth issues as a key priority for Liberia and have been conferred the Title: PEACE AMBASSADOR for United Nation Youth Association, recently. This cause of advocacy is strongly established on patriotisms, discipline, and being pragmatic about developmental issues by being focus and influencing government policies. “The cost of education is still relatively cheap in Liberia. Based on recent research and studies, the cost of full tuition in most high schools is about $100 which averages out to be $9 per month. However due the 85% unemployment rate in Liberia, most parents or families cannot afford to send their children to school as the average Liberian family earns less than $1 US a day.” Think about this: Are you part of the 80% of illiterate Liberians? I know your response. I can see the expression on your face. It is ‘NO.’ You are not among the estimated population who cannot read or write. Do not ask me why. You already know why. You laugh when you hear our LIB slang, “degree holder, you know book your country dirty?” Once you are interested in reading this article, you are considered one of Facebook’s 350 million active users who update their status each day (“Facebook Statistics.” Facebook.com. Accessed: December 18, 2009). In fact, you have a good income, have weekend chilling moments with friends and love ones. You recharge your phone with money anytime you want to make a call and food is neither one of your challenge. As a young Pan-Africanist, I have come to reason that a country progresses when majority of the citizens are educated; the country advances if the people stop talking and start working! The country develop if the people start investing their time, idea and resource in community businesses, programs and projects. They become great if the people of the land respect and put their country first in unity, far above tribal and personal desires. “And let the world’s men and women of honor and integrity arise against such and their institutions. How To Be An Agent Of Change As A Liberian Youth? Manage Your Emotions: No one feels comfortable around an angry young man or woman. It is very important to manage your emotions. See things from a more positive view about your country and try to relax. How you feel towards helping to solve a problem matters. Manage Your Time: You cannot make any change if you are wasting your time every day talking and not impacting lives. Find a way to learn one new thing every day. Develop your talent into skills. Time is valuable. Instead of thinking about what to buy with your money, start thinking about developmental projects and business ideas that will benefit you and the people of Liberia. Manage Your Thinking: I love to develop my mind by reading because it is the treasure of my life. I have developed a habit to think about things that are developmental. I encourage you to think for a change. Find time during the day to think. You will find it valuable and your life will progress. Manage Your Words: Do you know that every month in Liberia we have a new LIB slang? In fact, if you do not manage your words well, ‘you will stay long inside.’ You have to manage your words as a Liberian youth. When you speak, let people feel the weight of your words. Words can make or mars your life. Words can bring respect. Make your words count. Listen and think before your speak. Be a young man or woman that will speak words that will bring about positive change to your country. 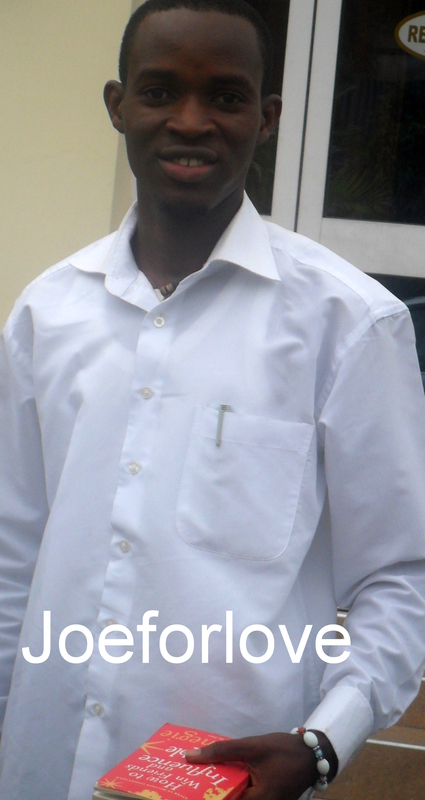 Liberian youth, our days are running, generations are awaiting our success, Don’t sit there. Do something positive everyday! DAFI Students at GIMPA are always on the outlook in prioritizing academic Excellency. Learning is not only limited to education for DAFI students at GIMPA. Learning transcend acquiring knowledge of diverse subjects of our careers, modifying our behaviors in a new environment, expanding our skills, values and at times involve synthesizing different types of information towards a brighter future. ‘Today, GIMPA has transformed itself into the leading management development institute in Ghana with a vision of becoming a world class Centre of Excellence for training in Leadership, Management and Administration, Policy Analysis, Consultancy and Research, Distance Learning, Gender and Development programmes.’ DAFI students at GIMPA reflect a significant share of this transformation. The key to GIMPA’s success over the years has been consistency of purpose, having students to understand and apply what they have been thought. However, our focus is to help provide our readers with smart tips to excel in their careers, increase academic performance and personal success. The question is: Are you a slow learner? Do you want to improve your learning skills? Are you looking for the best solution to a learning problem? Strategy One: At GIMPA We Prepare To Learn. The first step to learn is to prepare. To use your memory effectively you have to prepare yourself mentally. In fact, with learning any skill, your intention, attitude, and motivation are fundamental to success. Learning preparation must include your ability to have the right tools, face challenges, have study environment, handle health and stress and time management. They are fundamental and are worth all the time you can put into them! Strategy Two: At GIMPA We Explore How We Learn Best. Always bear in mind that there is no best way to learn. As a person who seeks knowledge, you learn by building on the knowledge you already have. 70% of a lifelong learner’s knowledge is thought by himself/herself. We take into high esteem how our DAFI finance student, Andra Flora Grant always talked about paying attention to her lecturer as teaching goes on. Andra learn by listening. It is important to understand and maximize your learning potential, explore how you learn best, and use this knowledge to your advantage. And the best way out is to discover your learning style. Are you a reader, a Listener, or a Doer? There must be an inventory that can categorize how you learn best. Strategy Three: At GIMPA We Understand How Our Brain Works. Once, Mr. Mike Awuah reflects, “The major tool we need to learn is our mind.” We are convinced that the brain work on principles. So “It is natural to forget then to remember,” and “It takes repeated efforts and exposure to information to learn thoroughly.” Get rid of the habit of studying for a very long time i.e. over 2 – 3 hours without taking a break. Take the advice of Sharon K. ferrtt, “When we perceive information with our senses, important information is processed into short-term memory and eventually into long-term memory. By using memory strategies and techniques, your long-term memory can improve.” In our opinion, the best memory techniques contribute a series of shorter study sessions which is definitely preferable for students or employees who are determine to achieve higher goal. Strategy Four: At GIMPA We Practice What We Learn. It helps us make good marks in the final exams. As the famous saying goes, “Practice makes perfect.” Good learners are those who constantly practices what they learn. I personally admire the young economist, Emmanuel Zeeco Cisco, how he discipline himself to study, write and help teach others what he learn during lectures. This habit have helped him to retained almost 50% of what he learn in class, from speakers and reading. It works! The motivation of writing this article was inspire form Mr. Mike Awuah when he thought on the theme: “Principles of Learning,” during an inspiration section of the Hud Group monthly youth meeting at the University of Ghana, Legon. When Mr. Awuah esthetically spoke, I jotted in my notebook, “Learners become better at what they practice. Adult learn best through practice and participation. It is good to learn but wiser to review what you learn at least five times a month. 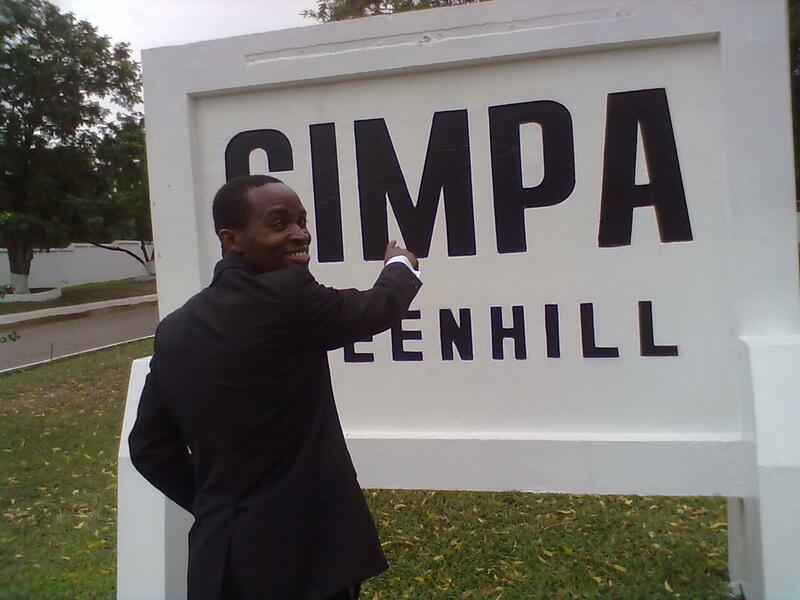 Strategy Five: At GIMPA We Take Control. DAFI students are 100% responsible for our academic performance. We keep at the back of our minds that learner really value knowledge and information so we are fully responsible to focus, think about it and create new ideas. I previously read, “One of the reasons people may not succeed in school or in their careers is a lack of willingness to make the necessary effort.” You are special –Don’t quit. If success does not come quickly, examine the real reasons for not succeeding. Taking control over things you learn is base on your ability to keep handling failure and focus. You are to discuss what you have learned with someone, teach it to someone, ask question, write it (take action-note), visualize it. Test yourself, use multiple sources, make flash card, etc. Most importantly, talk your problem out, eat well, get plenty of exercise and rest (your health says a lot about you), and create a balance of work and play. Strategy Six: At GIMPA We Team Up To Go Up. Being part of a team or study group is a reflection of who we are and how well we work with others. Team work help! You will be able to ask questions, suggest and understand your lesson and duties. The motivation to attend lectures regularly, participate actively in class room, review study materials frequently and practice what we learn has always better our chance to perform better in the final exams. It may be difficult to be controlled, supervised, or given order. Successful learners change their perception and begin to look at instructors, advisors and supervisors, as part of their learning process. They deserve your tolerance and willingness. Establish your team relationship based on respect; it is possible that most team mate will go extra mile to help you if they know who you are and if you show interest and willingness to apply yourself. Spend your time to gain! Because you will spend the rest of your life there. . . Organized by The Goi Peace Foundation and UNESCO Endorsed by the Ministry of Education, Culture, Sports, Science and Technology of Japan; Japanese National Commission for UNESCO, Japan Broadcasting Corporation Nikkei Inc., Tokyo Metropolitan Board of Education Supported by FELISSIMO CORPORATION. As today’s young people are crucial for the shaping of our future, it is imperative that they are enabled to develop to their full potential. UNESCO’s objective is to help empower young people, reaching out to them, responding to their expectations and ideas, and fostering useful and long-lasting skills. This annual essay contest is organized in an effort to harness the energy, imagination and initiative of the world’s youth in promoting a culture of peace and sustainable development. It also aims to inspire society to learn from the young minds and to think about how each of us can make a difference in the world. Many people experience inner change that motivates them to create a better world. Please share your story of inspiration that has affected your life and changed you to make a change in the world. 2. Essays must be 800 words or less in English, French, Spanish or German; or 1600 characters or less in Japanese, typed or printed. 3. Essays must have a cover page indicating (1) category (Children or Youth) (2) essay title (3) your name (4) address (5) phone number (6) e-mail (7) nationality (8) age as of June 30, 2011 (9) gender (10) school name (if applicable) (11) word count. Teachers and youth directors may submit a collection of essays from their class or group. Please enclose a list of participants’ names and the name and contact information of the submitting teacher or director. 4. Entries may be submitted by postal mail or online. * IMPORTANT: To send your essay online, you must go to the online registration page at www.goipeace.or.jp and follow the required steps. 5. Essays must be original and unpublished. 7. Copyright of the essays entered will be assigned to the organizers. DEADLINE: Entries must be received by June 30, 2011. ** All prize winners will be announced in November 2011 on the Goi Peace Foundation web site (www.goipeace.or.jp) and UNESCO web site (www.unesco.org/youth). This is your # 1 youth page! Thanks for taking your time to search for Youth opportunities on this blog. Hope you had a great time researching. Kindly let me know how I may assist you and all the best!